There are two types of hike in the world: the ones that take you somewhere epic and the ones that are more about the journey. 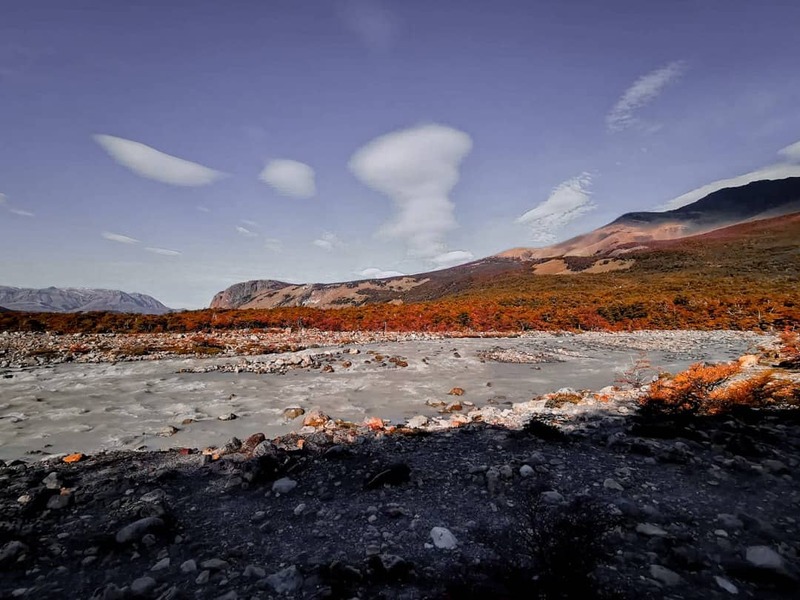 The Laguna Torre hike in Argentine Patagonia offers that rare combination of both. Of all the things I was looking forward to in Patagonia, the Laguna Torre hike was number one. I love hiking, and I love it even more when I know it’s going to end in a beautiful reward. What I didn’t anticipate, however, was just how incredible the hike itself would be. Should you do the Laguna Torre trek? Views of Cerro Torre from about 6km into the hike. Although it’s known as the Laguna Torre hike, the laguna (lake) isn’t the only treasure waiting. In fact, it may well be the least impressive of the three. Yes, three. It’s hard to compete with the sight that is Cerro Torre, one of the most distinctive mountain peaks in the world. Although Cerro Torre is nearly always shrouded in cloud, you’ll get to see it up close once you arrive by the lake if you’re lucky. Along with Glaciar Grande, which peaks out on the left hand side of the lake, it makes for a scene like no other. Even if you’re not a fan of hiking, the view of the three together makes the Laguna Torre hike worth it. You’ll get your first peek at the Cerro Torre peek just 20 minutes or so into the hike, less than 1km from the trailhead. The viewpoint in named Mirador Margerita and it’ll be ready to remind you that you’re ready for a drink by the time you reach it on the way back. This isn’t the only view of Cerro Torre you might get, though. If you’re lucky, you’ll be able to spot Cerro Torre at several points along the trail and enjoy that impressive view with various foregrounds. 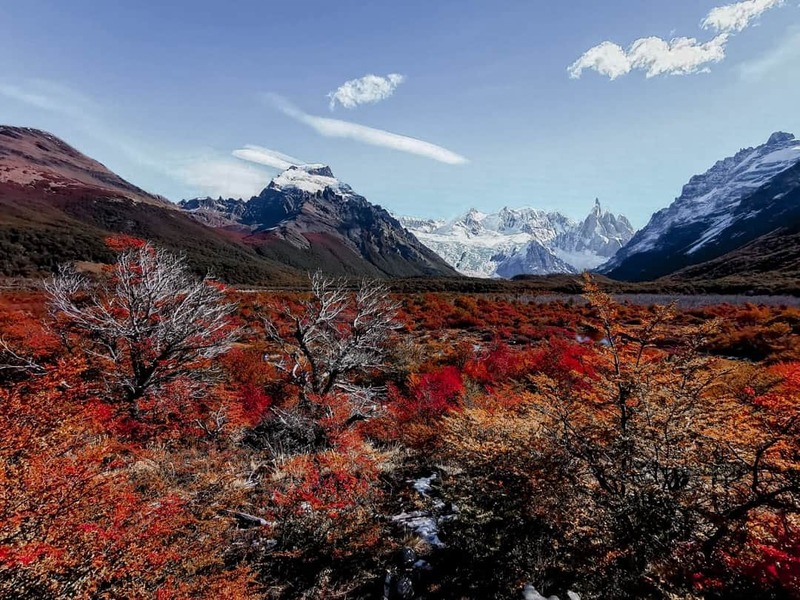 El Chaltén, the town where the Laguna Torre hike begins, is famous for its hiking routes. It’s a bit of a hiking Mecca in the vast Patagonian landscape, and many people travel there for its famous trails. 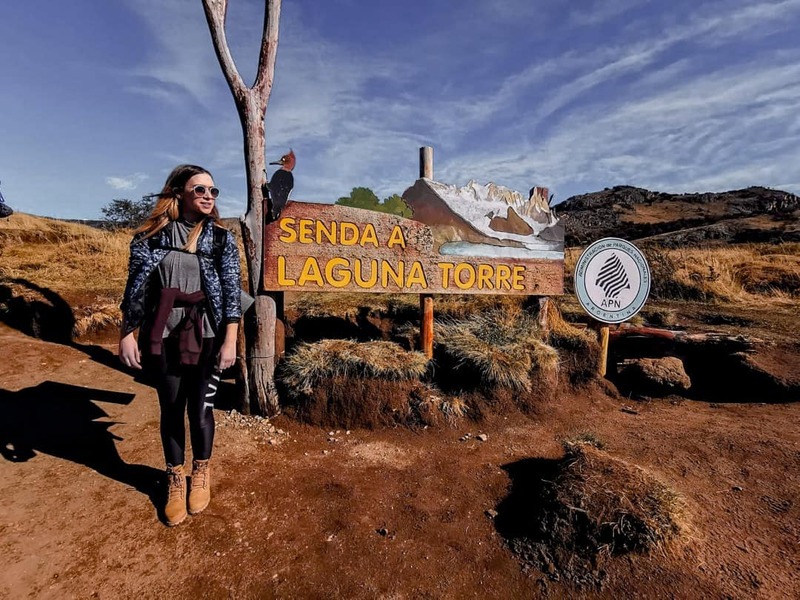 The Laguna Torre hike is one of the most famous hikes of all. If you love hiking, mountains or nature, it’s an experience you won’t want to miss. Many people hike the Laguna Torre trail for photography, too. 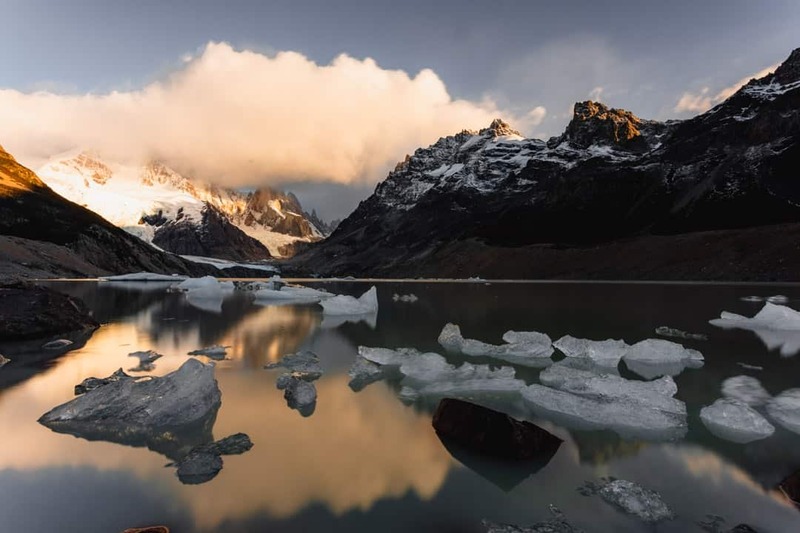 Although Patagonia has no shortage of photography spots, Laguna Torre is one of the most special if you’re willing to haul your camera gear along the trail! The Laguna Torre hike can be done as a day night or an overnight trip. If you’re planning to hike to the lake and back in one day, make sure you leave early. Not only will it take you at least 6 or 7 hours to complete the round trip, you’ll want to allow plenty of time to enjoy the views at the end. Cerro Torre weaves in and out of the clouds throughout the day, so you might be waiting a while for that perfect shot. If you’d rather take it slowly, an overnight trip might be better. 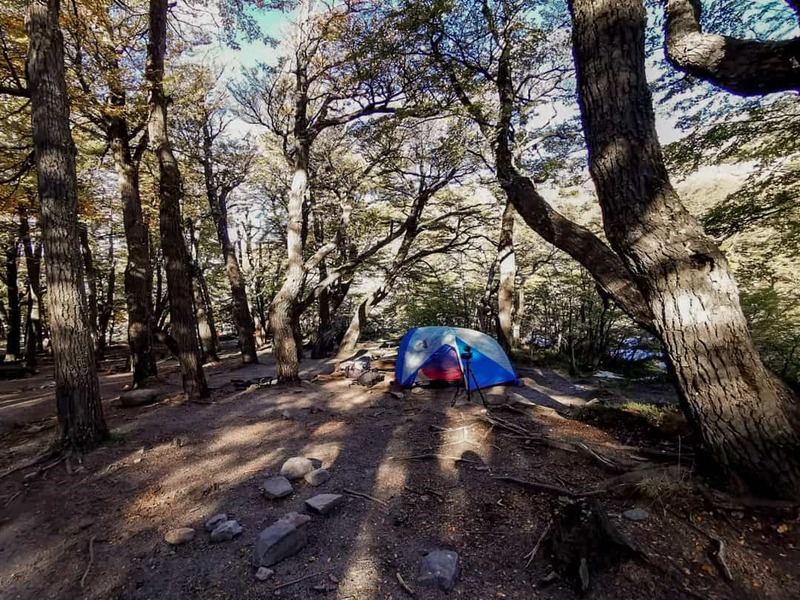 There is a campground around half a kilometre before Laguna Torre where you can set up camp for the night: Camping De Agostini. Setting up camp in Camping De Agostini. Just like entry to the park, camping is completely free. You’ll have to stay in the dedicated camping area, but there’s plenty of space for everyone. We stayed for one night and there were probably around 40-50 tents in total. If you don’t have your own camping gear, you can rents everything from tents and sleeping bags to pots, pans and plates in town. The only thing we struggled to find was dehydrated food and, since the supermarket is limited, you’ll need to be a little bit creative when it comes to food! Keep your eyes peeled for wildlife. Patagonia is home to some pretty awesome wildlife. If you’re lucky, you might see a Magellanic woodpecker, huemul (a tiny deer species), puma, guanaco and Andean condor (the largest flying bird in the world!). Most of them are pretty elusive, but we spotted a woodpecker, fox and condor during our time in the park. Pack water if you’re not camping. If you’re planning to camp overnight, you can boil water from the nearby river. It was looking pretty grey when we were though, so we collected ours from a small stream back down the trail. If you’re not camping overnight, make sure you pack enough water to last the trail. It can get pretty warm when the sun is shining, even if you’re hiking outside of the summer months. A good hiking bag is also essential. You can rent one in town, but you might want to take your own if you planning on doing other hikes in Patagonia. For day hikes, I love this hiking bag for women. RELATED READ: If you love the Laguna Torre hike, you’ll probably also enjoy the Havasupai Falls hike. Although your chances of spotting a puma are (sadly) very low, you should know what to do if one appears. Someone we spoke to spotted one about halfway along the trail, but there’s a small chance you’ll encounter one during your hike. It’s very unlikely that a puma will attack an adult human, but they may go after young children. Keep children safe, make noise and make yourself as big as you can. Never turn your back or run away – they might see it as a game and chase you!